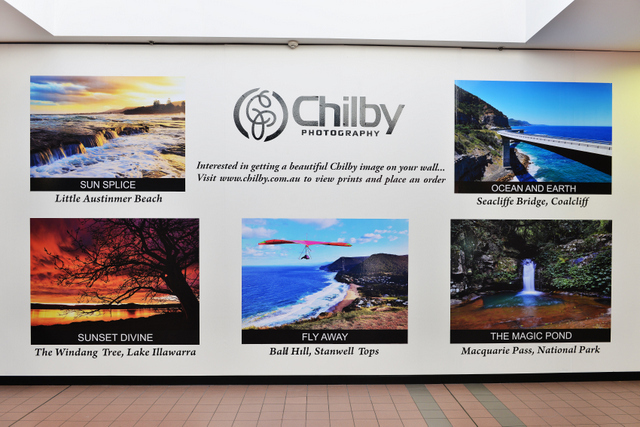 Chilby Photography has installed a large photographic display at Westfield Warrawong just a short drive south of Wollongong City NSW. If you are in the area drop by and have a look. The display is located near Target. If you click on the photo to the right it will show you were to purchase Chilby Photography products in person. Click HERE for information and directions to Westfield Warrawong. 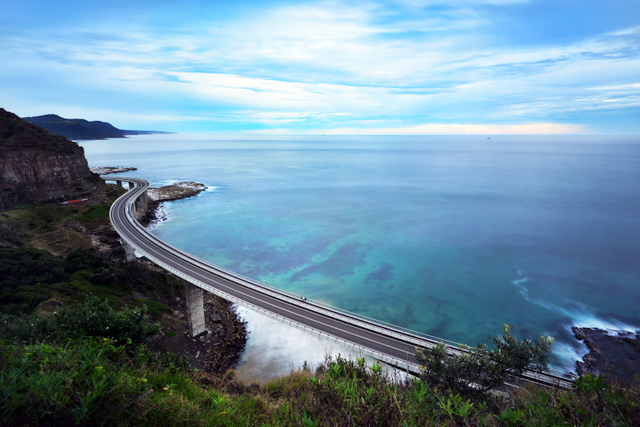 South Coast of New South Wales Photography Trip! 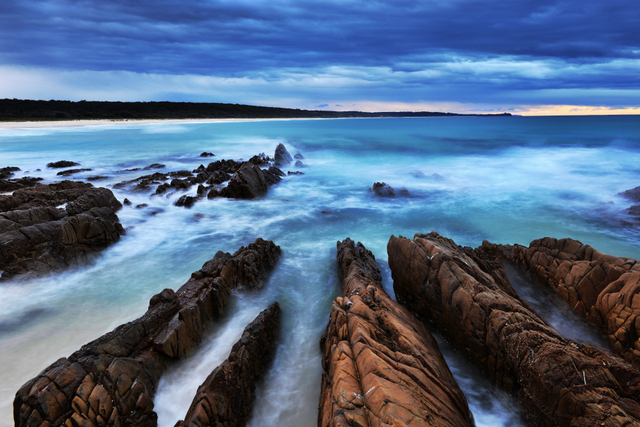 I've recently returned from a photography trip on the South Coast of New South Wales. 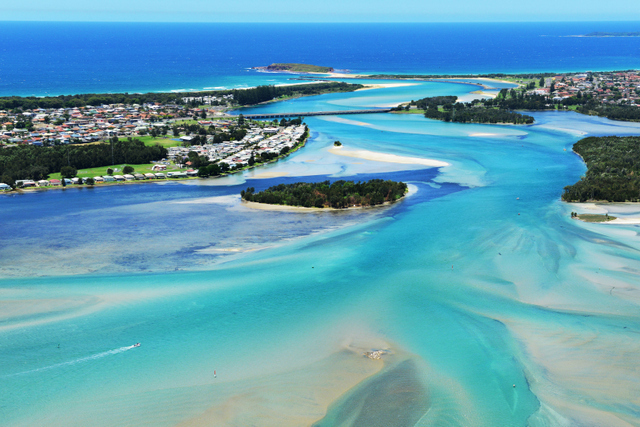 I now have in my Sapphire Coast, Eurobodalla and Shoalhaven galleries new photographs from the trip. I have new sunset photos from Merimbula, Stormy sunset photos from Dalmeny beach and new sunset photos from St Georges Basin. If you click on the photo to the right it will take you to the three galleries and from there you can choose which gallery you would like to visit. 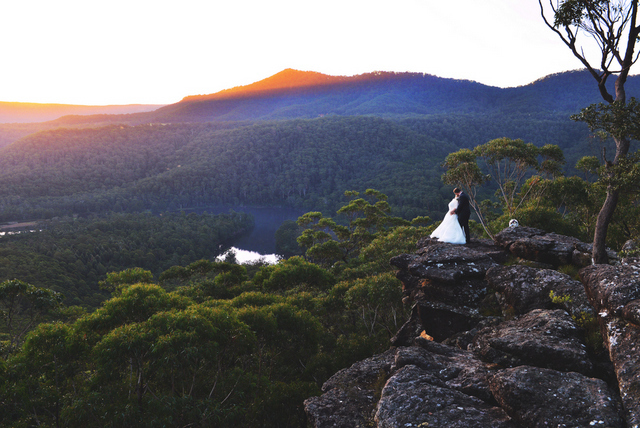 Apart from Landscape Photography I also do Wedding Photography and other formats of photography such as commercial, event and aerial, I certainly have a unique landscape photographers style of Wedding Photography as you can see from the photo to the right that I recently took at the amazing Kangaroo Valley Bush Retreat in the Kangaroo Valley of New South Wales. It was great place to photograph a wedding and I really enjoyed it. To see more of my wedding photos please click on the photo to the right. Westfield Warrawong Chilby Photography display. 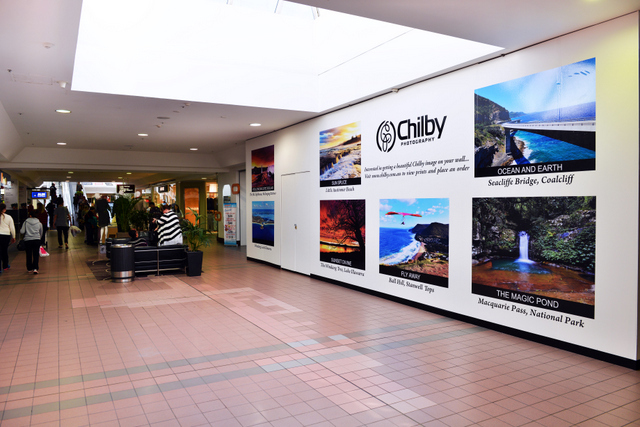 At Westfield Warrawong you will find this enormous Chilby Photography photo display with 7 very large photos printed on the wall. If you are at Westfield Warrawong swing by and check it out. It is located near Target and not far from the bottom of the escalators coming from upstairs. Click on the photo to the right to see more places that you will find Chilby Photography products. For more information or directions to Westfield Warrawong click HERE. An Old Photo still looks good! 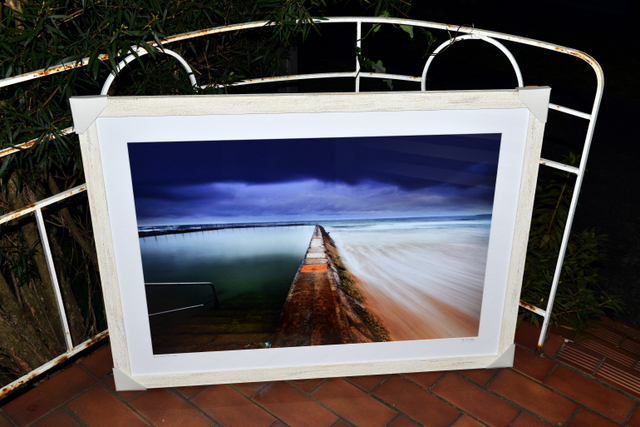 Today I delivered this 24x36 Inch framed print of Bulli Ocean Pool, and took this photo out the front of the customers home as I thought the frame that the customer picked suited the photo nicely. This photo is one of the oldest on my website and is one of the few remaining from my previous website. The customer was very happy. If you would like to get a copy of this photo, just click on the photo to the right. 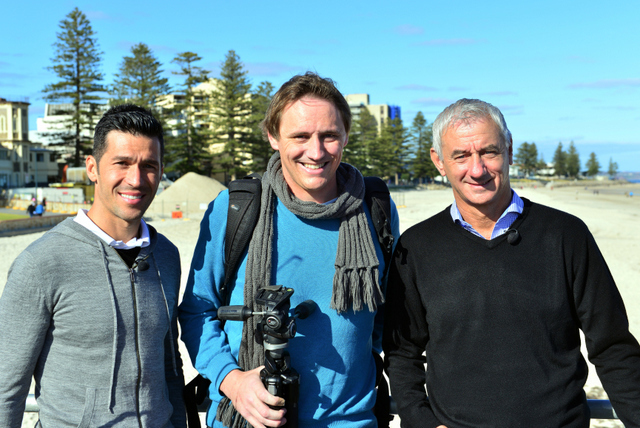 An early morning photo shoot in Adelaide paid off when I run into Liverpool footballing legends Didi Hamaan, Craig Johnston, Ian Rush and Luis Garcia. I've been a Liverpool fan my entire life and it was a great opportunity to get a photo with these Liverpool greats. Click on the photo to the right to view the behind the scenes gallery of Chilby Photography. I was out and about early in Adelaide for a photo shoot and happened to bump into some former Liverpool Footballing super stars. 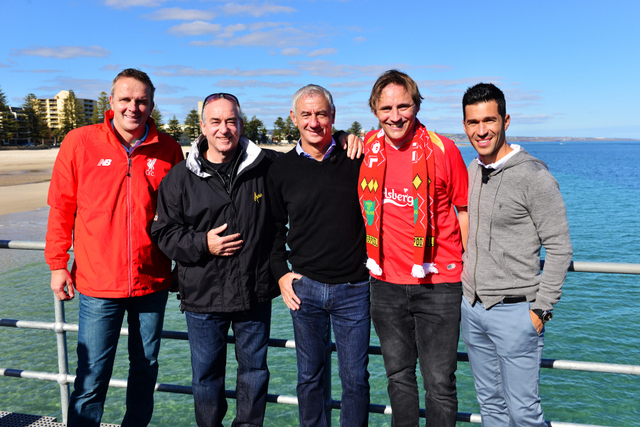 I have been a massive Liverpool Football supporter since I was very young and was delighted to meet Liverpool legends, Ian Rush, Craig Johnston, Luis Garcia and Didi Hamaan on Glenelg Jetty. After getting this photo to the right with Luis Garcia and Ian Rush, I ran about 4km to the car to get my Liverpool shirt and scarf so that I could get a photo in my Liverpool gear with the four guys. My all time favourite player Robbie Fowler was meant to be with these guys but got called away to an event. I was very happy to get this shot and it certainly brightened my trip. To see more photos with the Liverpool legends click on the photo to the right to visit my behind the scenes section. A trip to Adelaide, South Australia! I recently spent a week in Adelaide, South Australia on a photography trip to a part of Australia that I had not been to before. 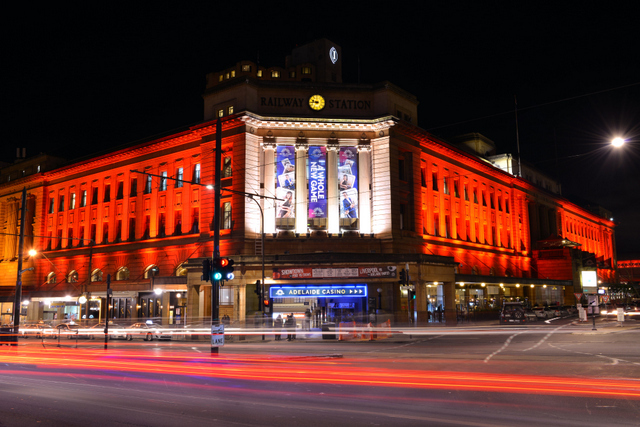 I took over 1500 photos of Adelaide and its surrounds. The trip started off terribly, the morning of my flight NSW received the biggest dump of snow in 70 years and I missed it. I then slipped, dropped and smashed my most expensive glass Lee Filter on my first shoot in the state, which left me filter less for the trip and then I found a parking fine on my car at Glenelg for parking in an out of bounds street that was full of cars and with no signage and it looked like a normal street to park in however I did meet some Liverpool soccer legends in the process. This was very upsetting but prompted me to stay way from the parking police for the remainder of the trip and head to some other areas such as the Barossa Valley, Victor Harbour, Port Willunga, Hahndorf, Waterfall Gully and Morialta Falls and this brightened my mood. I have now created my South Australia Gallery and you can check it out by clicking on the photo to the right. I will be uploading more photos of South Australia shortly. Brad Chilby photo in the Daily Telegraph. On the 15th of July 2015 I was delighted to see that one of my photos made it into the Daily Telegraph with a number of my photos being published in the online version of the Daily Telegraph through out the week also. This certainly made my very long trip to the Central Tablelands chasing snow worth while. This scene was captured near Jenolan Caves and it was quite impressive to see that much snow in this area. 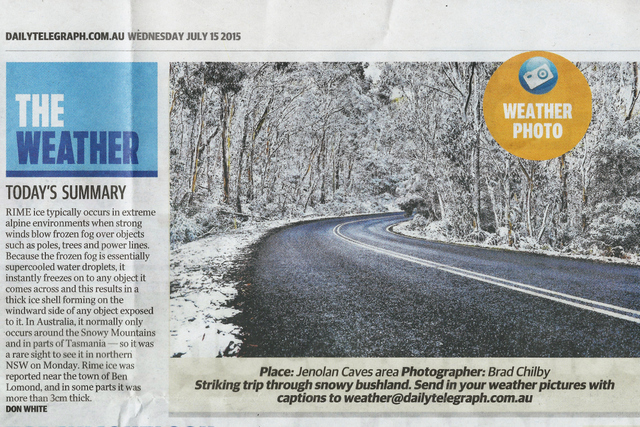 To see more of my photos in the Daily Telegraph and to read more about the big July 2015 cold snap click on the photo to the right. 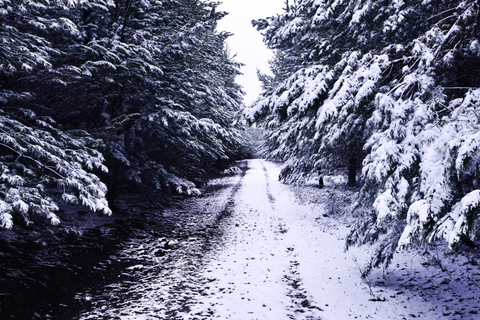 New Snow Photos from the Central Tablelands! I headed to the Blue Mountains in the early hours of the morning via Roberston and the Southern Highlands to hopefully capture some snow photos but to my disappointment there was only snow flurries floating around the Blue Mountains with no snow at Roberston or in the Southern Highlands either. I kept heading west until I found snow fall and I first found a good dump of snow at Lithgow followed by even more at Mount Lambie, I heard on the radio Orange got a huge dump of snow but was not sure if it would last so I headed to Oberon, there was no snow at Oberon surprisingly but I did find snow around the Jenolan Caves area. Click on the photo to the right to see the latest snow photos from the Central Tablelands. Huge cold front to hit New South Wales! I absolutely love the snow and it is my favourite weather condition to photograph in and with snow forecast down to 600 metres in NSW I am very much looking forward to the weekend and hope to cover a large amount of ground photographing the Southern Highlands and Blue Mountains. I am looking forward to bringing you many more wintery photos like this one to the right that I took last winter near Oberon NSW. Keep an eye on my website over the next week for many new photos. This June has been a month of amazing sunsets, rainbows, and stormy days. 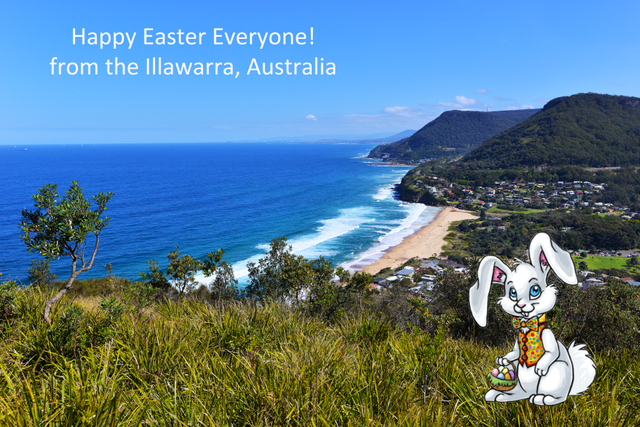 I have added a number of new photos on my website from Lake Illawarra, Ulladulla, Wollongong and the Blue Mountains. Some photos like this one to the right have been going crazy on social media with 20,000 views, 100's of shares and likes. Click on the photo to the right to view it larger and click on this link to see many of the new photos in the Southern Wollongong gallery - CLICK HERE. 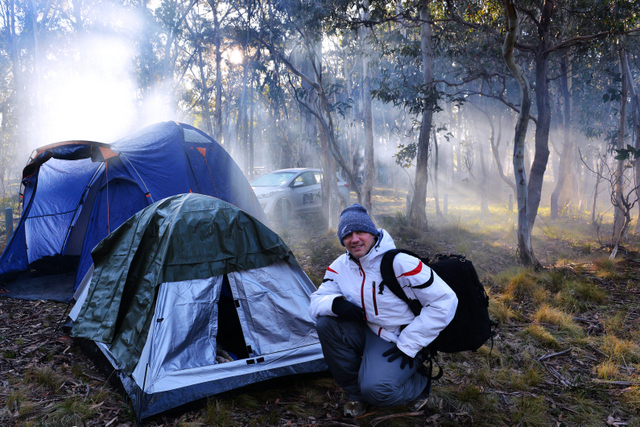 Photography Camping Trip in - 5 Degrees. On the June long weekend I ventured out to the Oberon area in the Central Tablelands on a photography/hiking trip. I brought my little summer tent but with all my snow gear hoping it would keep me warm and it certainly didn't! I had very little sleep and struggled to keep warm at all. My tent was lined with ice on the inside and when getting out in the morning I found all the vegetation completely frozen. This trip enabled me to get photos of waterfalls in the southern Blue Mountains wilderness area as well as photos of Hanging Rock. The freezing night was a great adventure. Click on the photo to the right to see more. 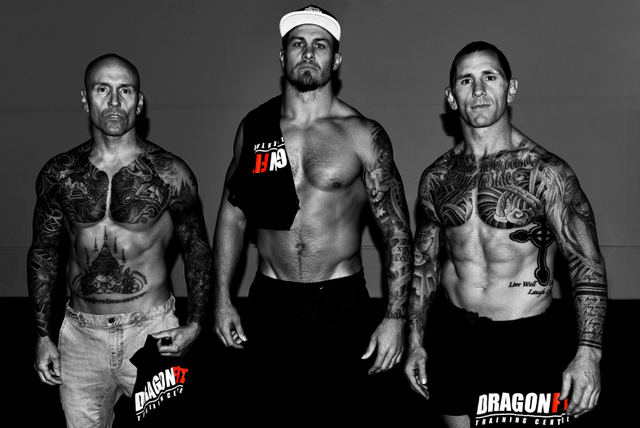 Last month I did the photography for Dragon Fit gym in Wollongong owned by former St George Illawarra Dragons and Australian rugby league player Matt Cooper, Former St George Illawrra Dragons rugby league player Josh Miller and Boxing trainer Brett Harriott. It was an indoors studio type shoot with the client after a dark shadowy look, something that I don't normally do but I gave it my best shot and here is one of the photos from the day to the right and if you click on it you will see some more. From right to left is Brett Harriott, Matt Cooper and Josh Miller. Dragon Fit gym is located on Foleys Lane within the grounds of Wollongong TAFE. New Home - New Canvas!! 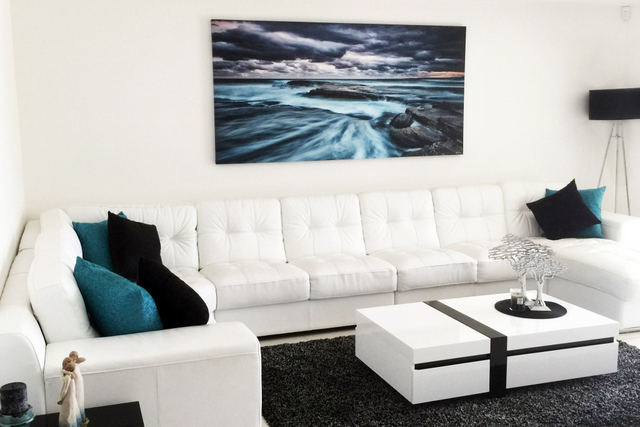 Today I delivered a MASSIVE 40x80 Inch canvas to a customer in Sydney. This massive canvas of Austinmer beach didn't pixelate at all and I was very happy to see that it could be printed this large. 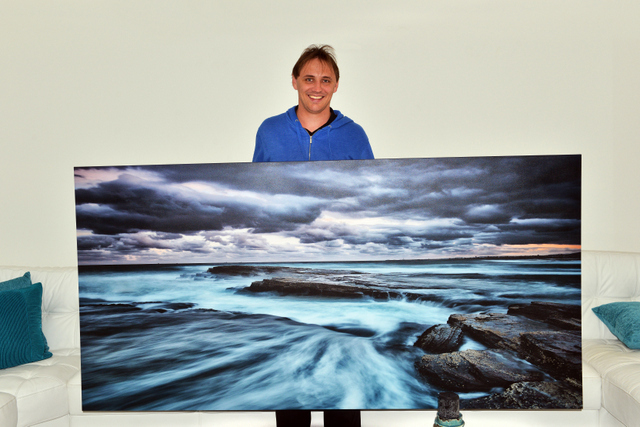 If you would like something bigger than the 28x42 Inches available on my website, Please email Brad Chilby via brad@chilby.com.au. 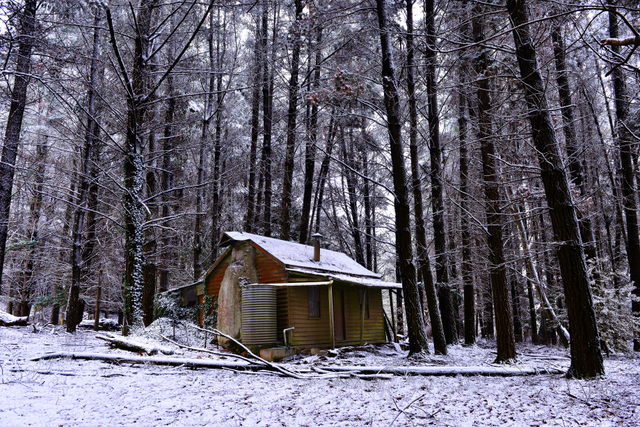 New Photos of the Southern Highlands. I have spent quite a lot of time in the Southern Highlands of late taking advantage of the recent wet weather to capture many of the regions amazing waterfalls. 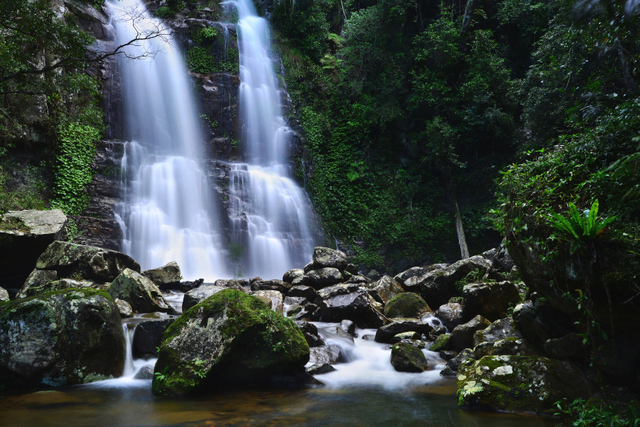 If you click on the photo to the right it will take you to the Southern Highlands gallery, where you find new photos of Fitzroy Falls, Carrington Falls, Belmore Falls, The Grotto and Barrengarry Falls. I have been going a bit waterfall crazy this past month with all the heavy rainfall that we have had here in Wollongong. 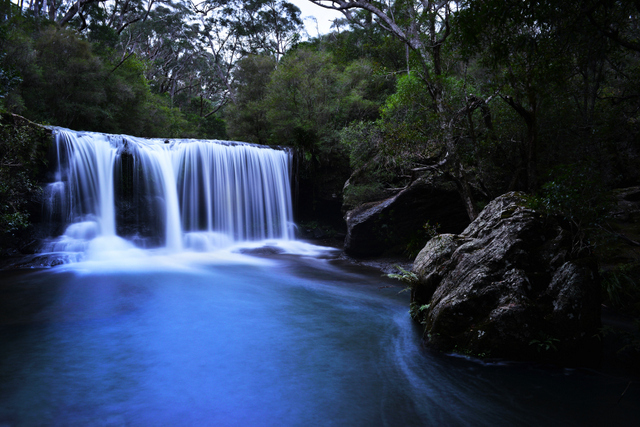 I have been to Minnamurra Falls Carrington Falls, The Grotto, Barrengarry Falls, Belmore Falls, Rainbow Falls, Balancing Rock, Clover Hill and right through Macquarie Pass National Park, and all that is to name just a few. It has been a very busy month in terms of Landscape Photography apart from the waterfalls I have also ventured to Jincumbilly Station as well Mimosa Rocks National Park and Narooma. I have uploaded some of the photos to the website but have plenty more to upload over the coming days. You can click on the photo to the right to see some of the new releases. I have recently updated my gallery dedicated to the Northern Illawarra region from North Wollongong to the Royal National Park. I have new photos of Wombarra, Coalcliff, Clifton, Sea Cliff Bridge, Thirroul and more. You can check out the whole gallery by clicking on the photo to the right. If you are browsing through my website you will also find new photos in the Kiama Gallery, Great Britain Gallery and the Europe Gallery. By the way that photo of Sea Cliff Bridge to the right appeared on Channel Ten weather on Wednesday 8th April 2015. Happy Easter from Chilby Photography. I would like to wish all of my customers and followers a very Happy Easter! I hope you all have a great day with family and friends and enjoy the sunshine.